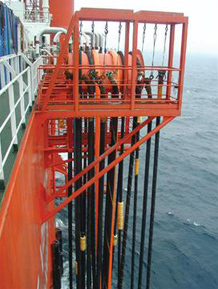 First Hose Ltd is a leading provider of offshore rig supply hoses, hydraulic hoses, instrumentation, adapters and fittings to the oil and gas industry. The company operates from a fully integrated warehouse and workshop where it assembles hoses from ¼”ID to 8” bore in various lengths, sizes, and working pressures. All assemblies manufactured from site are subject to a 100 per cent test procedure policy. First Hose stocks and assembles a range of Goodyear rig supply hoses for transferring most applications used offshore including brine, base oil, baryte, cement, drillwater, diesel oil, liquid mud, and potable water. The company is also a distributor for I.M.M. Hydraulics, Avery Hardoll self-sealing couplings and SSP stainless steel tube fittings for instrumentation and process applications.